Is your facility employing a Hazard Monitoring System or just a hazard? When risk is obvious, most folks are smart enough to take proper safety precautions. But what if our preventative measures stop working? A case could easily be made that a false sense of security poses as much or more risk than the danger itself. Dust explosions have occurred all across the country and across a multitude of industries. According to Chemical Safety Board (CSB) statistics, in the 25 year period between 1980 and 2005, there were 281 combustible dust incidents resulting in 119 fatalities and 718 injuries. These stats are made even more scary when you add in the number of incidents in recent years, many of which would have been preventable had facilities taken appropriate safety measures or taken their existing safety measures more seriously. Igniting a fire requires three elements; fuel (combustible dust), an ignition source (heat), and oxygen in the air (oxidizer). 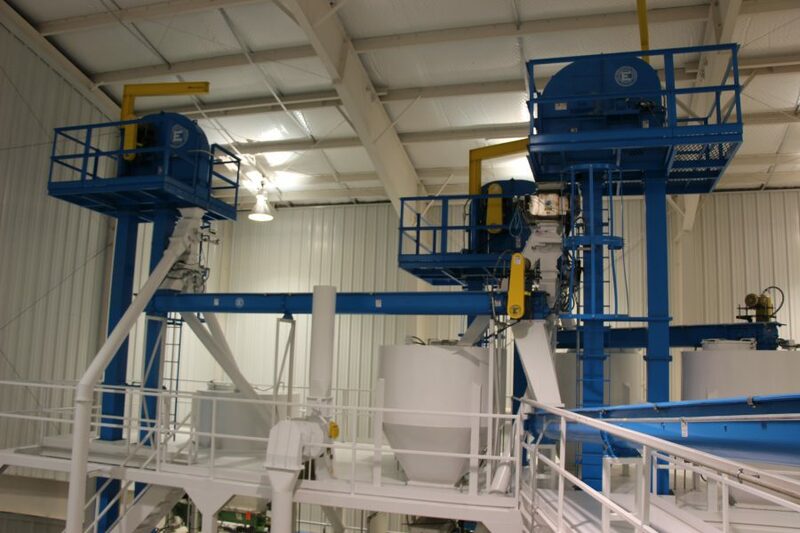 As scary as it may seem, these three things are not hard to come by in many grain handling facilities today. Add together a hot bearing or a rubbing belt along with a dispersion of dust particles in a small area like a grain leg and you have a near perfect recipe for a dust explosion. Mitigating risk for dust explosions requires a combination of tactics. One is to reduce fuel sources through better industrial hygiene, which for grain handling facilities means reducing dust. Another tactic is to minimize ignition sources. To do this, grain handling facilities must closely monitor performance of grain legs and conveyors by use of a hazard monitoring system. A typical grain leg hazard monitoring system includes sensors that monitor belt alignment, bearings, and belt speed. Individual sensors are connected to computerized software that tracks sensor data. If a sensor indicates something is outside the acceptable range, an alarm is triggered. For example, if a belt is out of alignment causing friction, heat sensors will trigger an alarm. Alarms direct facility employees to the area experiencing a problem. Facility operators and maintenance team members address the root cause of the alarm, removing the potential ignition source and mitigating the hazard. This is an adequate solution, however, only when the alarms and signals from the system are taken seriously. All too often we hear stories about alarms that are bypassed or simply ignored because they alert too frequently. This is an incredibly dangerous mindset and practice if not addressed. Like an unreliable fuel gauge, an untested or unused hazard monitoring system could give facility operators a false sense of security about their equipment. System integrity is compromised where people intervene. In the rush to meet peak demand, operators clear alarms or disconnect sensors without first determining the root cause. Thus, over time, reliability of the system is compromised. Hazard monitoring systems lose their risk mitigation value when they are not routinely tested and verified. Don’t make the foolish mistake of putting your facility at greater risk of a dust explosion by ignoring potential hazards. If you don’t have a hazard monitoring system actively mentoring common ignition sources such as bearing temperature, belt alignment, and belt slippage consider installing a comprehensive system. If you have a hazard monitoring system, make sure that it is providing the protection you deserve with routine testing and auditing.